A man in the Guinean capital Conakry receiving the experimental Ebola vaccine in April. A highly unusual clinical trial in Guinea has shown for the first time that an Ebola vaccine protects people from the deadly virus. 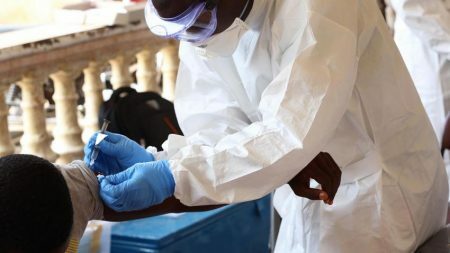 The study, published online today by The Lancet, shows that the injection offered contacts of Ebola cases 100% protection starting 10 days after they received a single shot of the vaccine, which is produced by Merck. 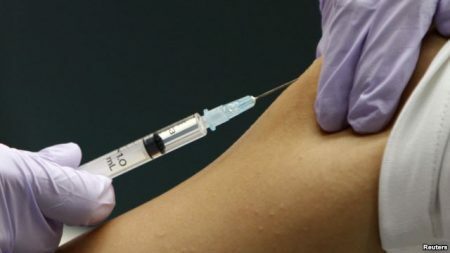 Scientists say the vaccine could help to finally bring an end to the epidemic in West Africa, now more than 18 months old. “It’s a wonderful result and a fantastic illustration of how vaccines can be developed very quickly and can be used in an outbreak situation to control the disease,” says Adrian Hill, a vaccine researcher at the University of Oxford in the United Kingdom, also not involved in the work. Read More. A two-step regimen of experimental vaccines against Middle East respiratory syndrome (MERS) prompted immune responses in mice and rhesus macaques, report National Institutes of Health scientists who designed the vaccines. 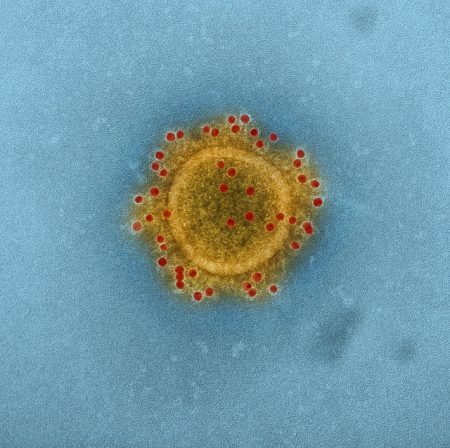 Vaccinated mice produced broadly neutralizing antibodies against multiple strains of the MERS coronavirus (MERS-CoV), while vaccinated macaques were protected from severe lung damage when later exposed to MERS-CoV. The findings suggest that the current approach, in which vaccine design is guided by an understanding of structure of viral components and their interactions with host cells, holds promise for developing a similar human MERS vaccine regimen. Read More. For being so small, fruit flies have had a large impact on genetic research. 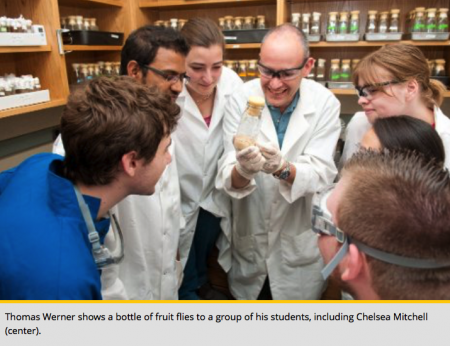 Thomas Werner, an assistant professor of biological sciences at Michigan Technological University, has bridged the miniscule and the massive in an effort to better understand the mechanisms behind several unique features of fruit fly genes. Over the past week, several studies that Werner co-authored have been published in PLoS ONE, the Proceedings of the National Academy of Sciences, and Nature Education. All are linked by Drosophila—a genus of fruit flies—and the insights that fruit fly genetics provide on human health, specifically cancer-causing genes. Check out their project on the Michigan Tech Superior Ideas, too. Read More. A common tuberculosis vaccine is being investigated as a treatment for type 1 diabetes, which is caused by an attack on the body’s own tissues and affects mostly young people. The Bacillus Calmette-Guerin (BCG) vaccine has shown promise in reversing some of the symptoms of diabetes and other autoimmune diseases. The BCG vaccine is the most commonly administered vaccine in the world, given to newborns in countries where tuberculosis is still prevalent. It increases the production of TNF, a hormone that kills off the TB bacterium. Read More.